A heart rate watch can help you monitor and record your recovery times. 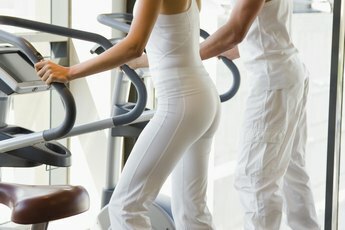 When you work out, your heart starts beating faster in order to deliver more oxygen to your cells. When you stop working out, your heart rate returns to its normal "resting" rate. The time it takes for your heart to go from beating faster to beating normally is called your recovery time -- and it can be a good indicator of your physical fitness and the health of your heart. If you're just starting a fitness routine or you're working on getting in better shape, you can monitor your recovery rate to get a good read on the progress you're making. Find out what's a normal resting rate for you. Test your "resting" rate before you get out of bed in the morning by placing your pointer and middle fingers on the artery located where your jaw meets your neck, and then count the number of beats you feel in 10 seconds. Then multiply that by six to get your true "resting" rate. This a good figure to know, though your heart rate may be slightly elevated from that during normal activities such as walking. Since you'll probably be walking to and from the gym or doing a cool-down after intense exercise, find out what your walking rate is by counting the number of beats you feel in 10 seconds as you walk slowly around the house. Write that number down. Now find out what your heart rate is during the intense portion of your exercise routine. When you're in the middle of your workout, stop and count the number of beats you feel for 10 seconds, and then multiply that number by six to get your exercise heart rate. You can also use a heart rate monitor or simply place your hands on the heart monitor gauges on a treadmill or elliptical machine. Do this a few times during your workout, and then directly after stopping the intense portion of your workout, to get an average for your exercise heart rate. Watch the clock as you do a cool-down activity such as slow walking, and test your heart rate again after two minutes. The faster your heart rate returns to normal -- in this case meaning the "walking" heart rate you tested earlier -- the healthier your heart. Subtract the postworkout rate from the heart rate average during your workout, and write down the number. This is your recovery rate, and it is different for everyone. The best way to gauge recovery time is to compare your recovery rate to your own rates during other workouts. According to the RealAge website, though, a number between 22 and 52 may be about average and indicate that your heart is about its "real age." 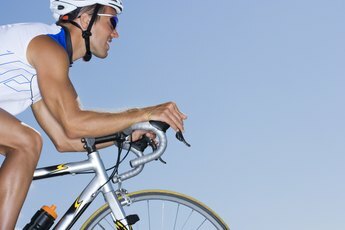 As you increase your fitness level, you may find that this number goes up -- indicating that your physical fitness is improving. Another important facet of exercising is working out in your target heart rate zone. The standard way to gauge this is to first calculate your maximum heart rate by subtracting your age from 220. 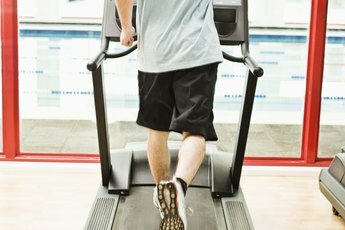 Multiply that number by 0.5 and 0.7 to calculate an ideal "moderate intensity" heart rate, or by 0.7 and 0.85 to calculate a "vigorous intensity" rate, advises MayoClinic.com. When you take your pulse during your workout, slow down or speed up your workout to stay within these ranges. What Is the Average Heart Rate Per Minute While Brisk Walking? 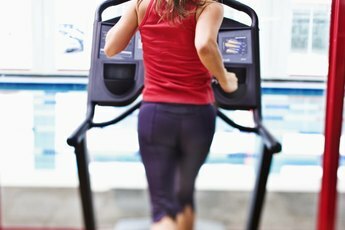 What Is the Average Pulse Rate After Running One Mile?